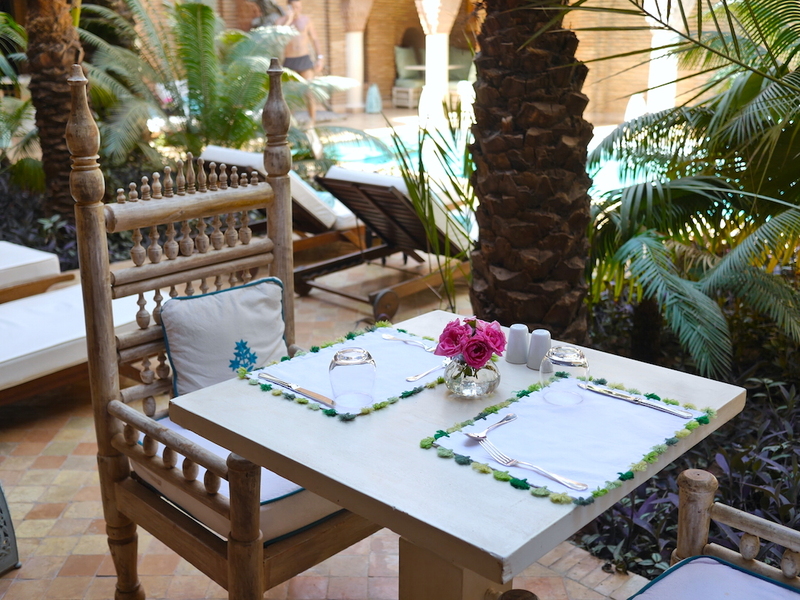 Welcome to La Sultana Marrakech! 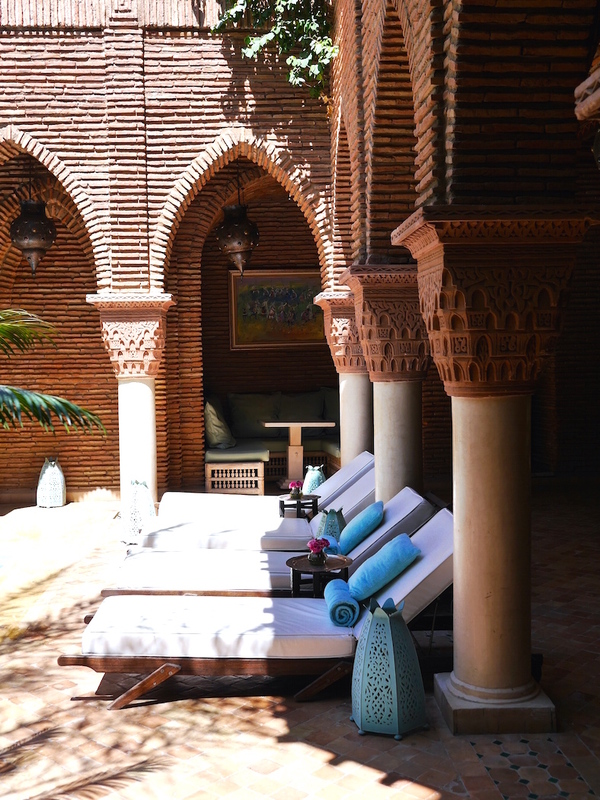 A journey full of magic and colorful impressions will start here right now at this wonderful luxurious hotel. Come and follow me along! 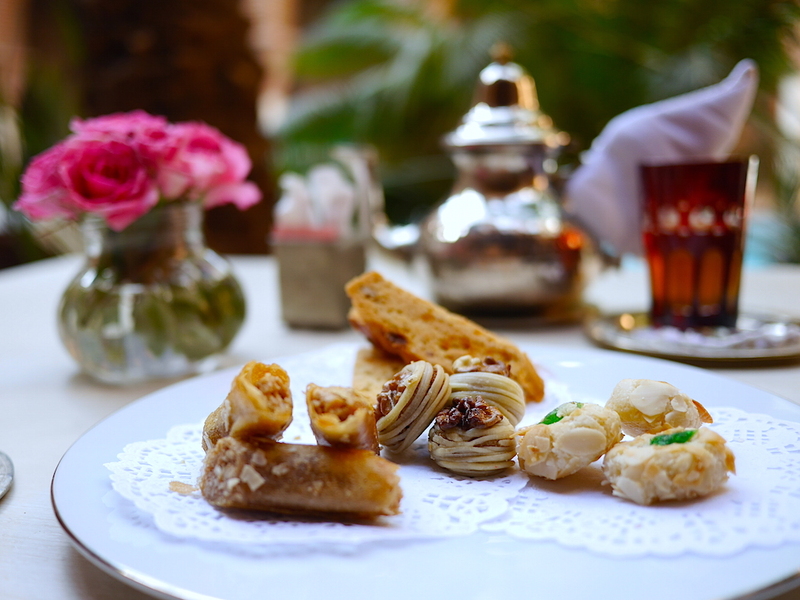 After an easy check-in we were invited to fresh Moroccan mint tea and traditional pastries by the pool side to get a first glimpse of what hospitality means at La Sultana and we were not disappointed. 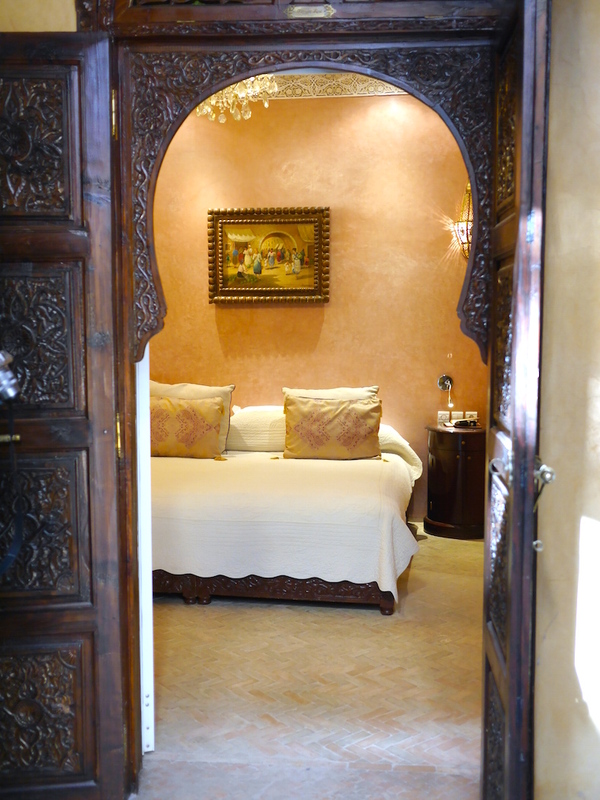 I could already feel the relaxation kicking in and was curious to see the room. 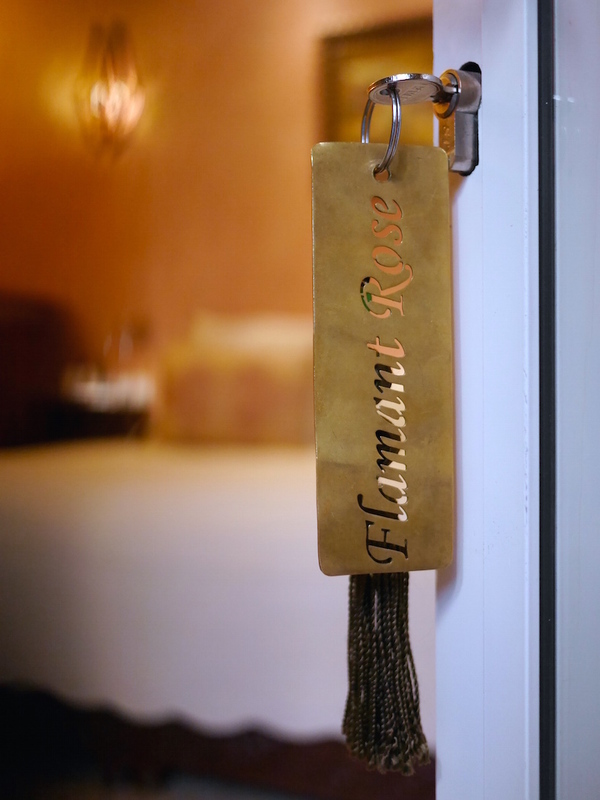 The rooms | La Sultana has 28 bedrooms or suites, each with its own design and decoration offering a luxurious atmosphere and sophisticated elegance. 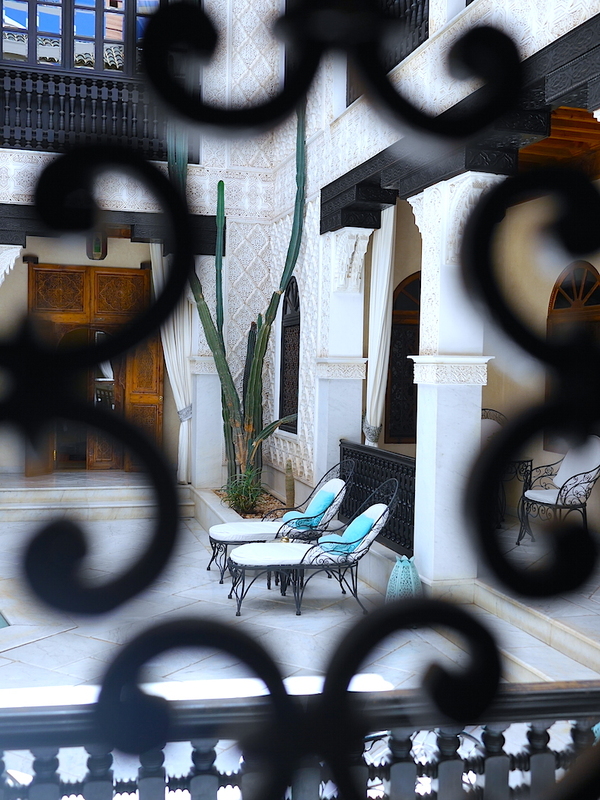 We stepped into our Riad, a traditional Moroccan house with a central patio, and where overwhelmed by the beautiful details of the interior. 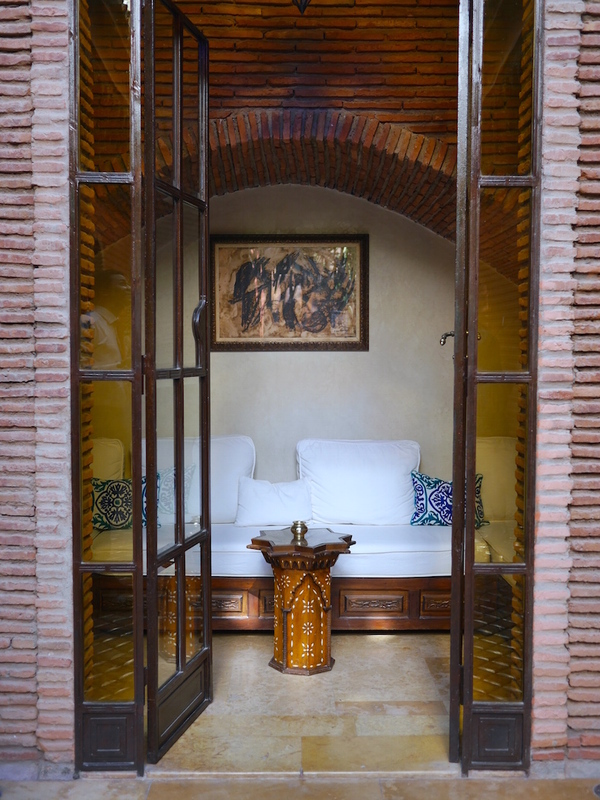 All windows of the rooms are to the inside of the Riad overlooking the interior, that’s why day light is limited in the rooms compared to European houses (to excuse the quality of the room photos). 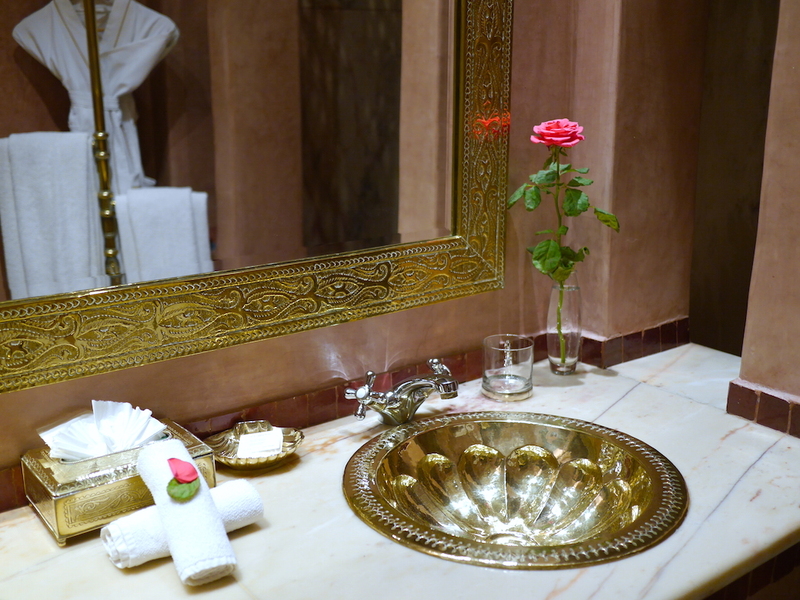 Our room was very spacious and we instantly fell in love with the amazing bathroom. 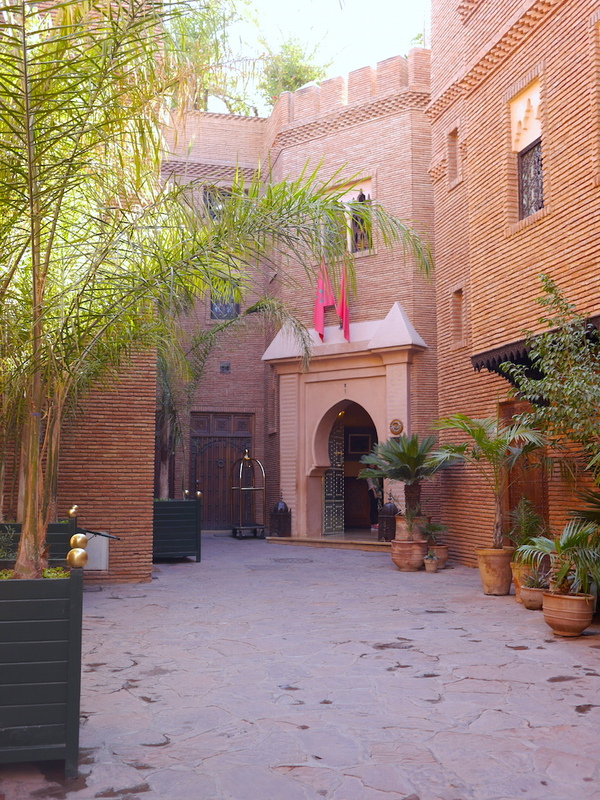 La Sultana Marrakech is the full experience of modern comfort and luxury. Walking through the whole property is an adventure for itself. 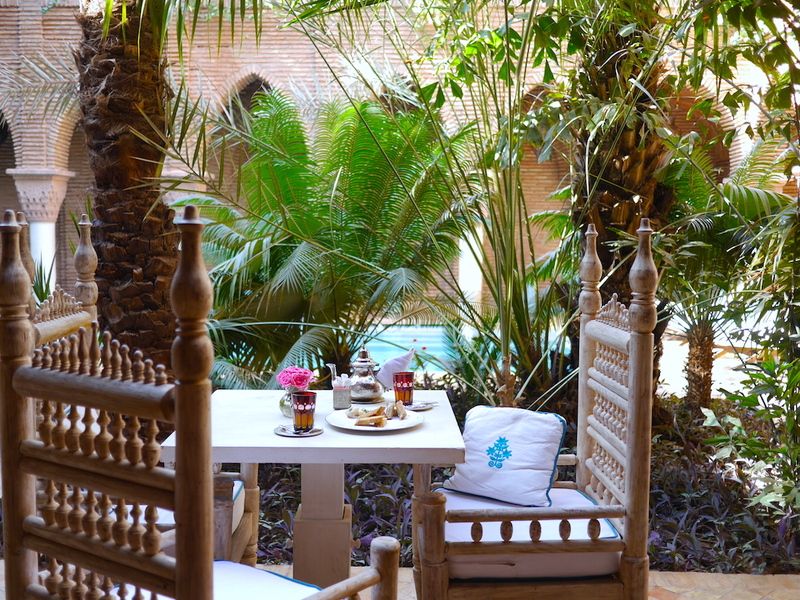 Cozy lounge areas and beautiful chairs invites you to take a break from the hectic day to enjoy a cup of tea or a good read. 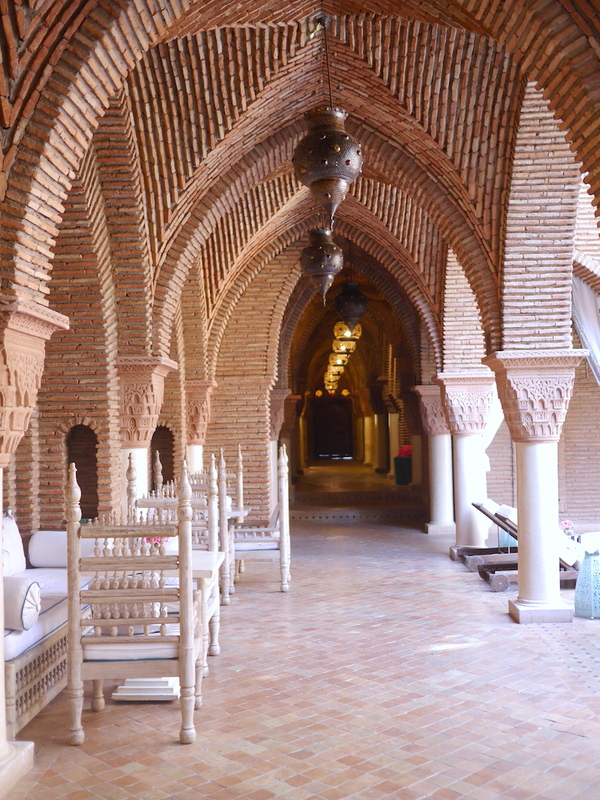 This place is so serene, I could really unwind and calm my mind whenever we got back from sightseeing. 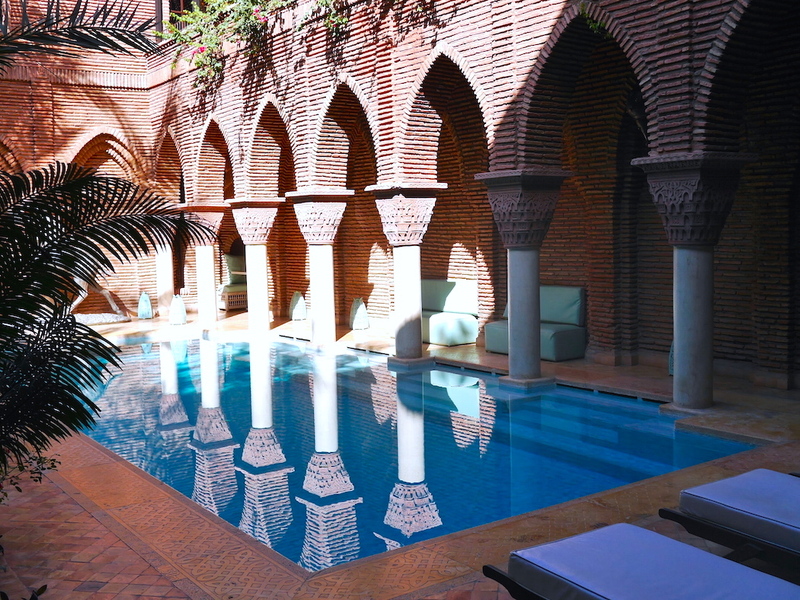 It is located in the historical Kasbah and main tourist attractions like the Medina are within walking distance. 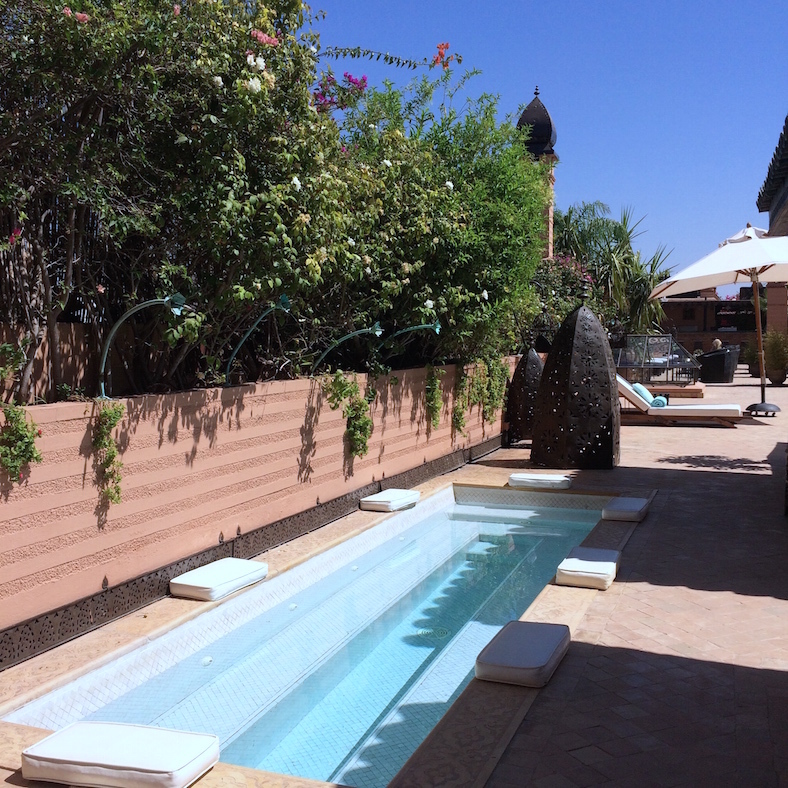 The pool area | I really enjoyed the day beds by the pool taking naps or working on blogposts, sipping tea and being captured by the magic of this place. Nothing but relaxing and charging my batteries. 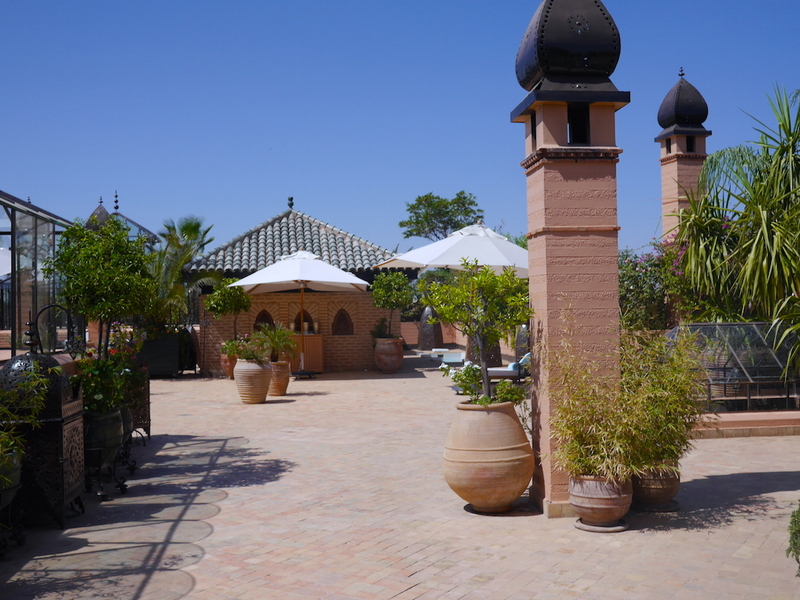 Even though the hotel was fully booked, it was never crowded and I could easily find a day bed to enjoy the sun. 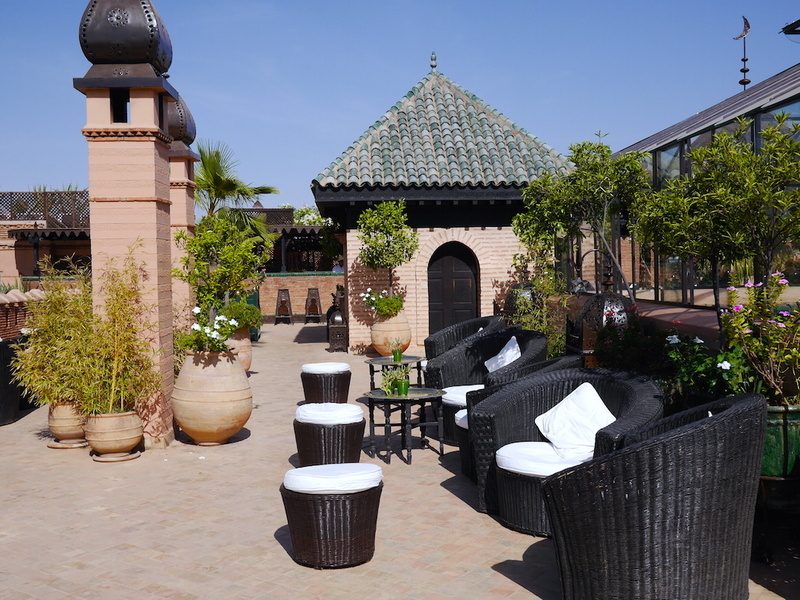 The roof top | You don’t need to go far to find a romantic spot for sunsets. 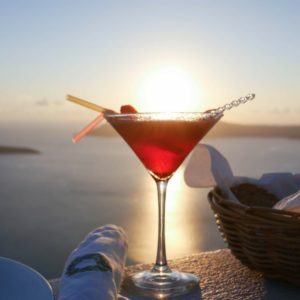 Take a seat in one of those comfy chairs with your loved one and order a cocktail. You might need a strong one. The view is just breathtaking! 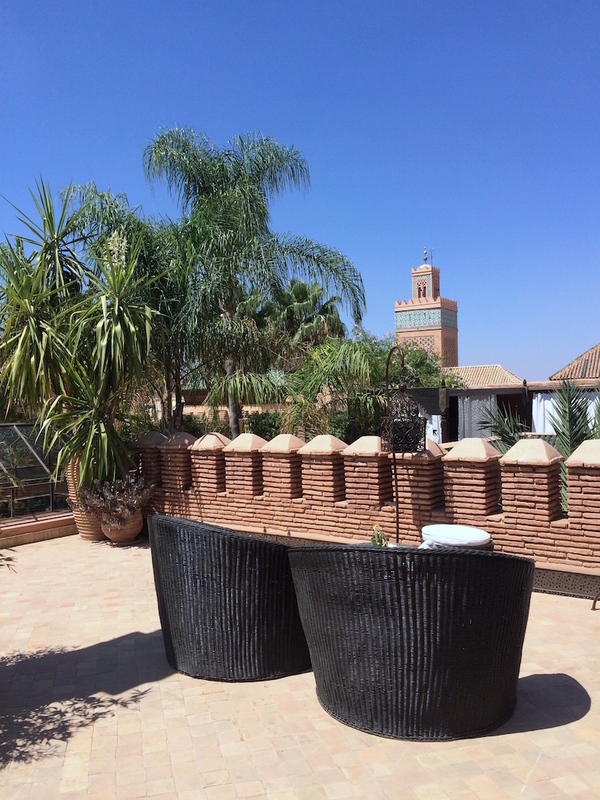 The roof top also offers day beds for more privacy and a plunge pool will help you to cool down in the midday heat of Marrakech. Eat, sleep, dream and repeat. Breakfast | I love me some good breakfast! 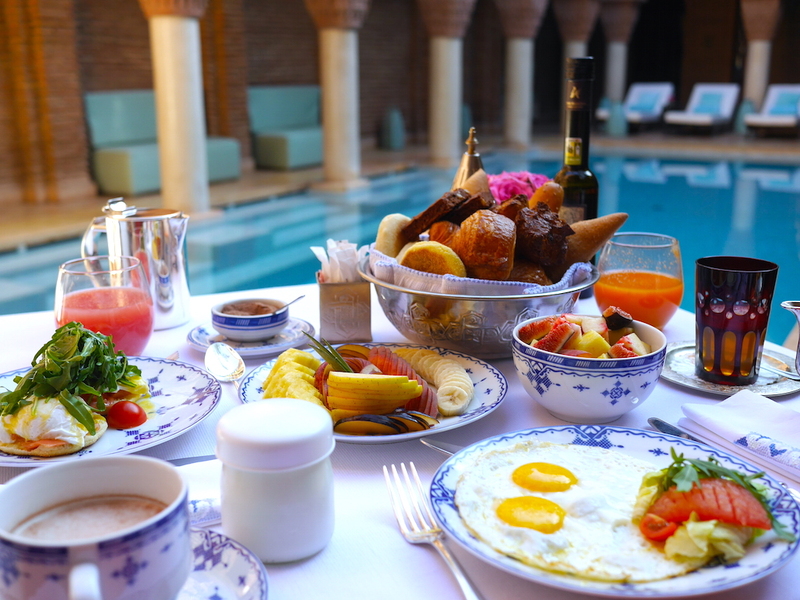 It’s my favorite meal of the day and you would be surprised how much I can eat. 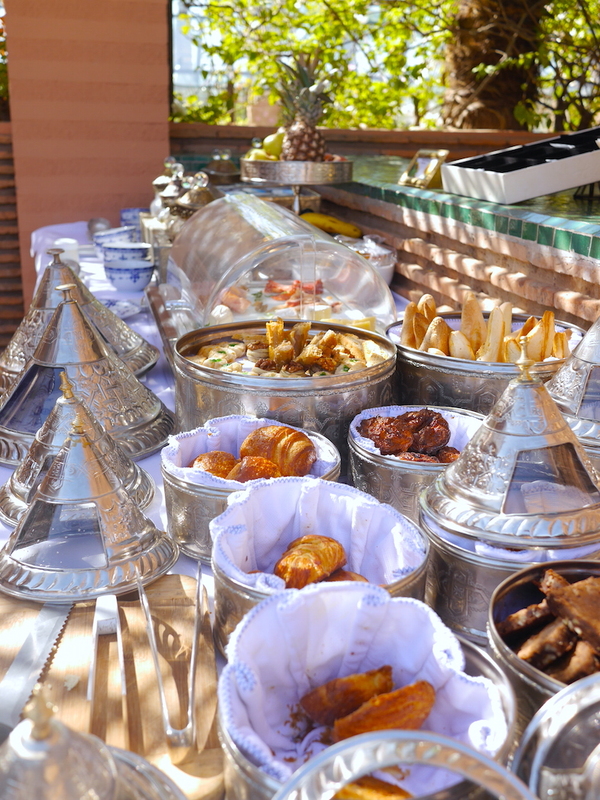 Breakfast is served on the roof top as a buffet but all warm dishes are made to order. 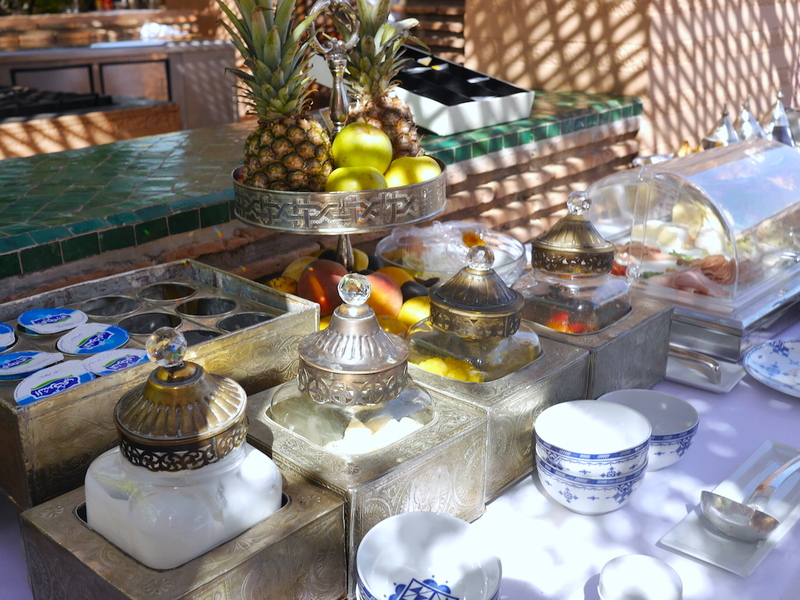 Seasonal fruit, pastries, fresh juices, local treats you name it. 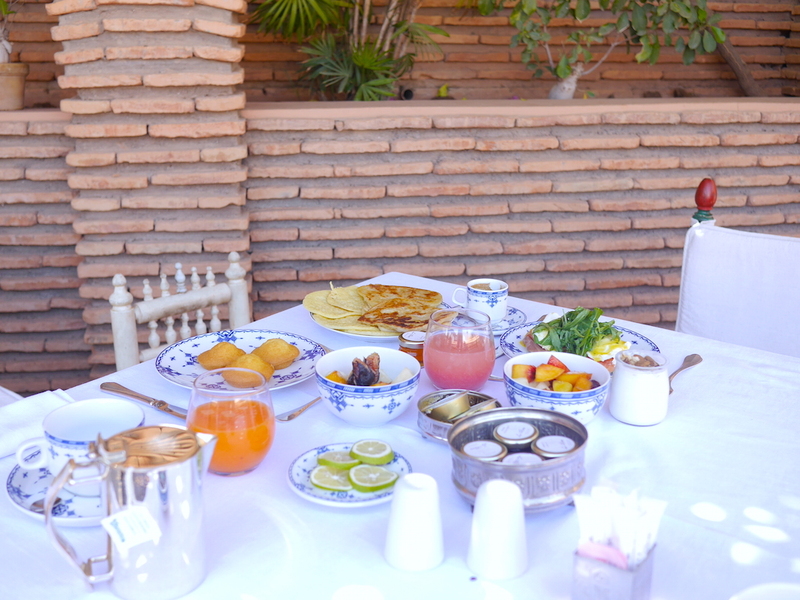 I loved the Moroccan pancakes! 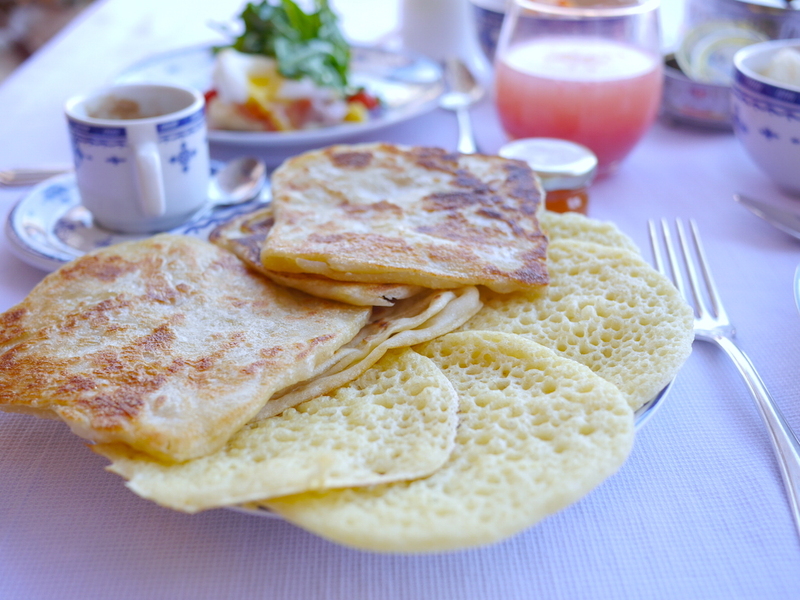 One is crispy and more like a tortilla, while the other one is fluffy and pancake-like. Both are enjoyed with butter and honey. Yum! 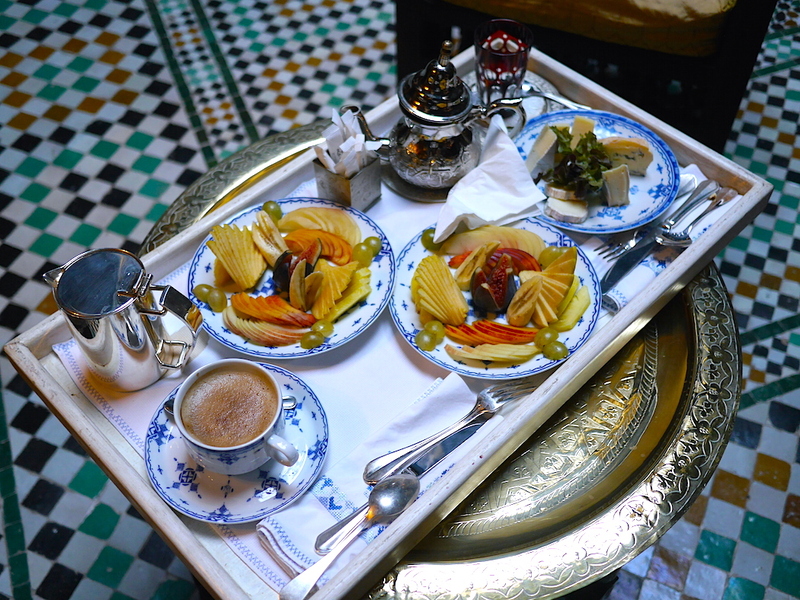 One day we requested an early bird breakfast and had this amazing tray delivered to our Riad. 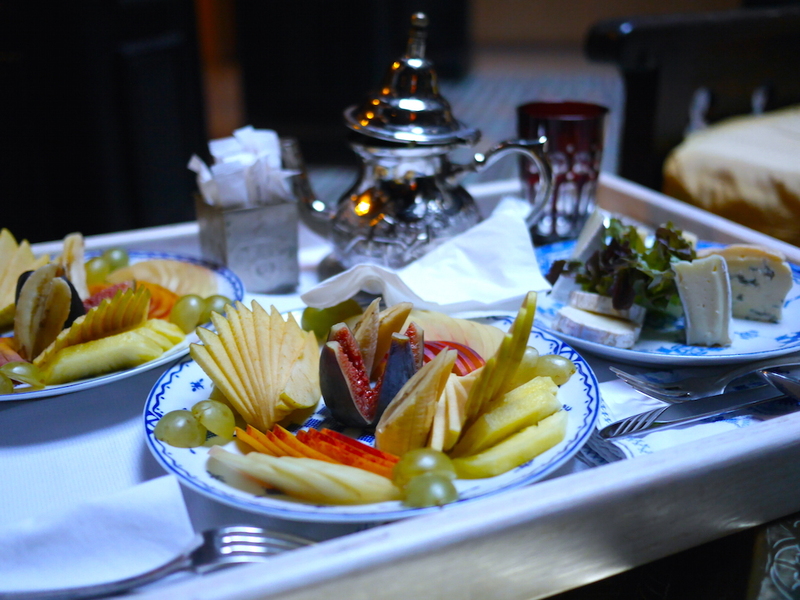 We sat there with our mouth wide open and could hardly destroy the art of food. It was delicious! 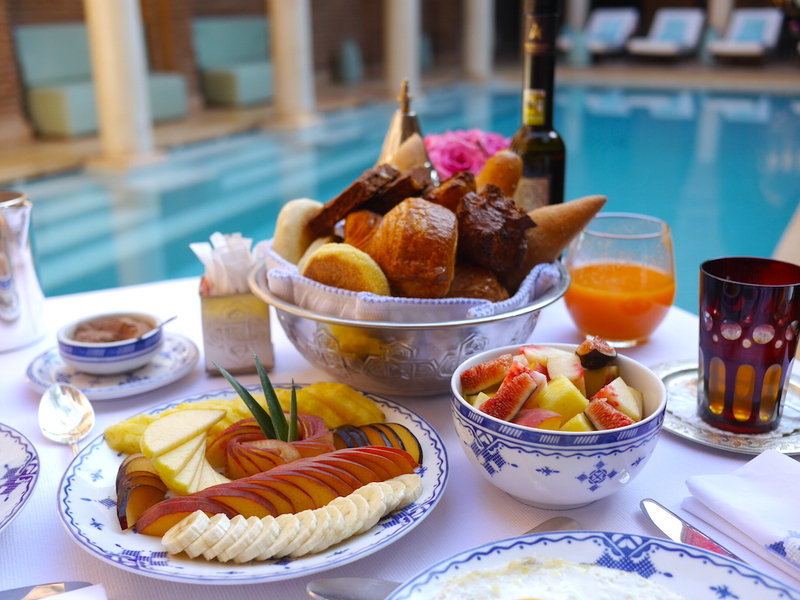 But the highlight was the breakfast by the pool! Oh, how much we enjoyed all the tasty food with this fantastic view! 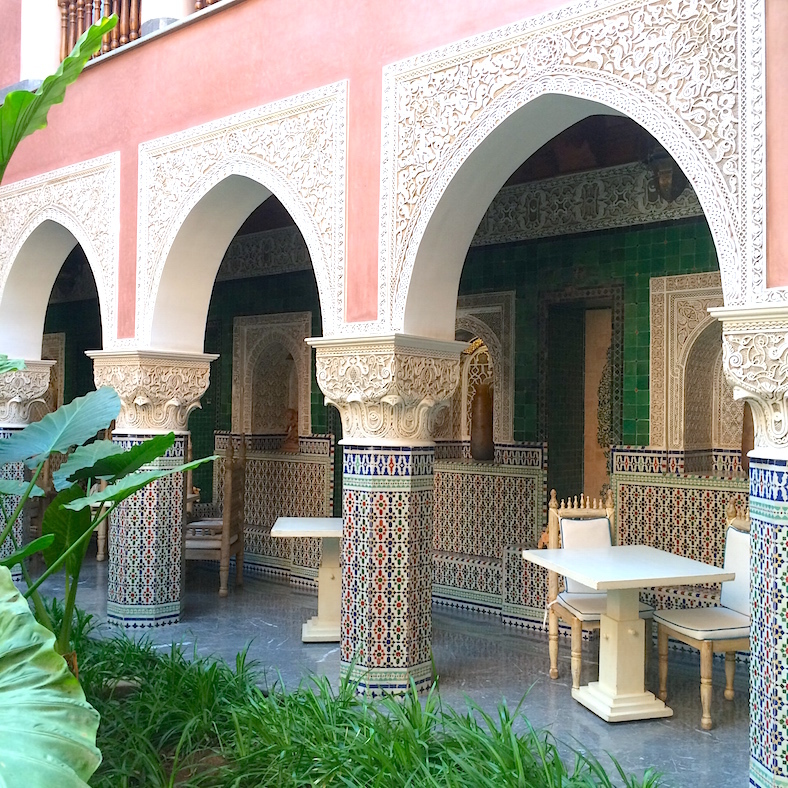 We felt like princesses in our own little oriental world. 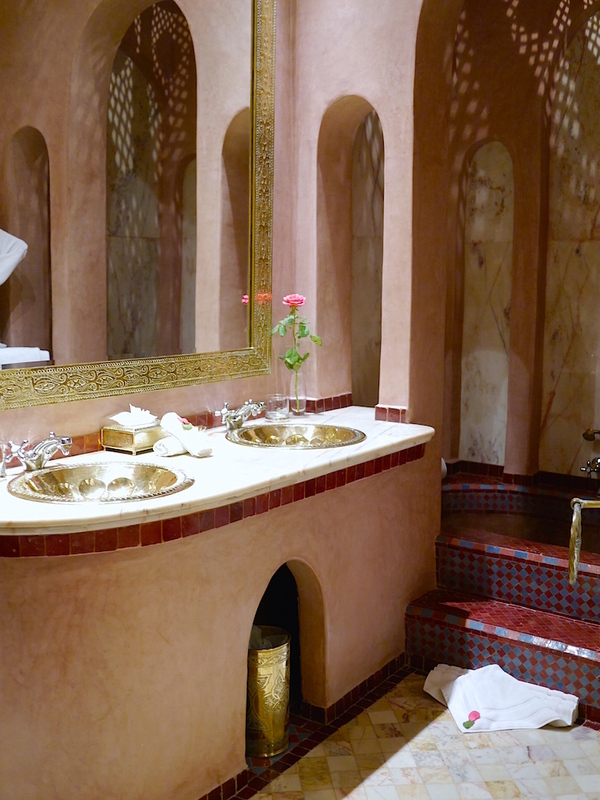 The staff at La Sultana were super friendly and helpful in any way, at all time. They literally read my lips, whenever I showed up at the reception. 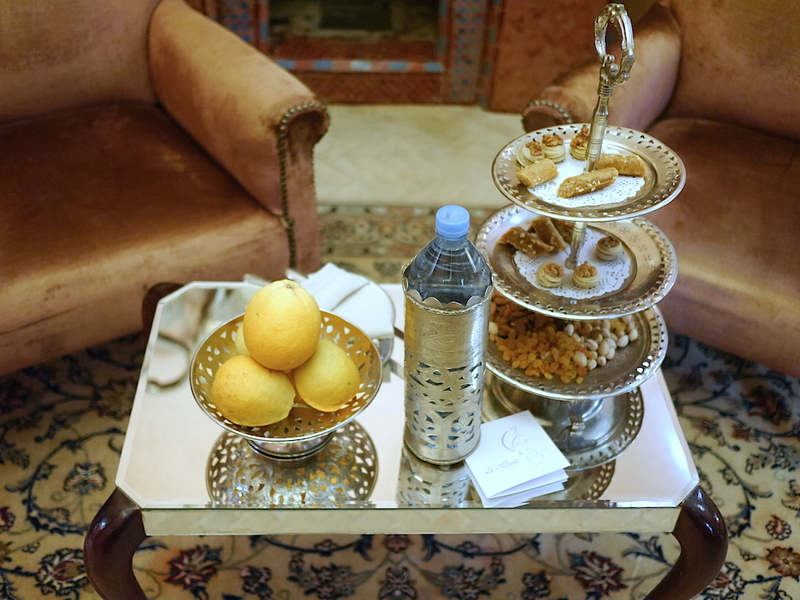 Special requests never seemed too difficult and they tried their best to make my stay memorable. 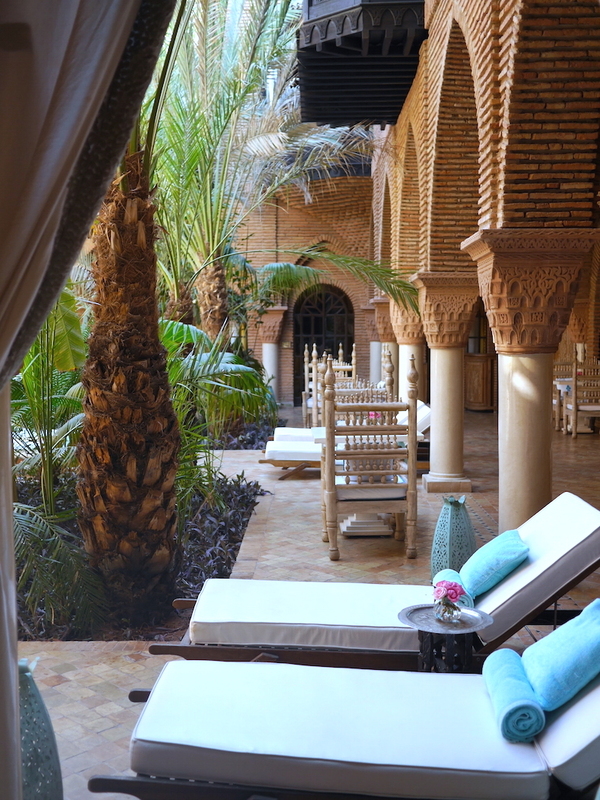 Very special thanks goes out to the whole team at La Sultana for a wonderful relaxing stay! 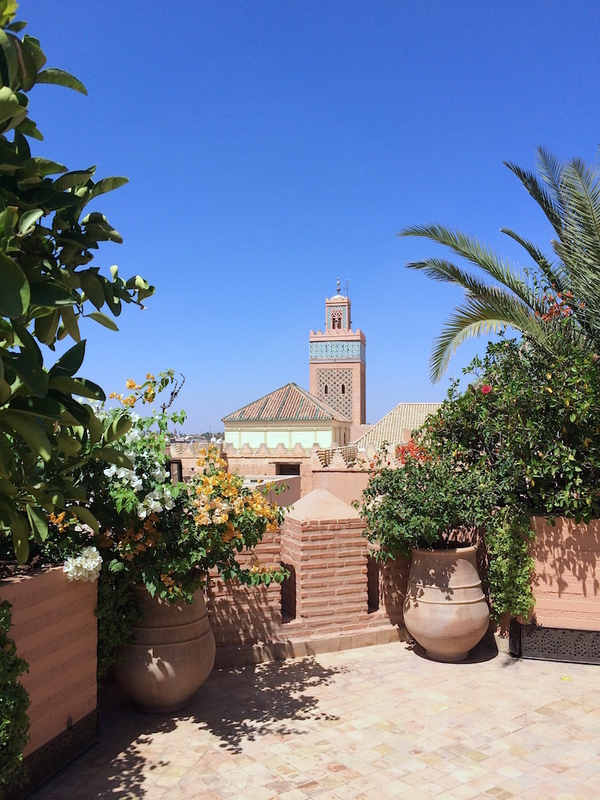 I left a piece of my heart in Marrakech. Big thanks to my partner in crime and sister from another mister Katrin. A wonderful place.. such a dream to stay there. 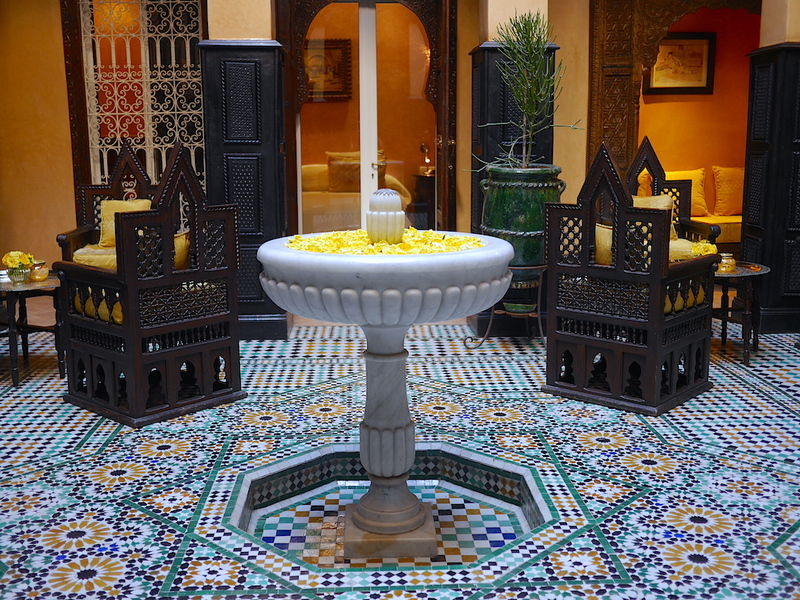 I just got back from my stay in Marrakech and was for 3 days at the La Sultana. 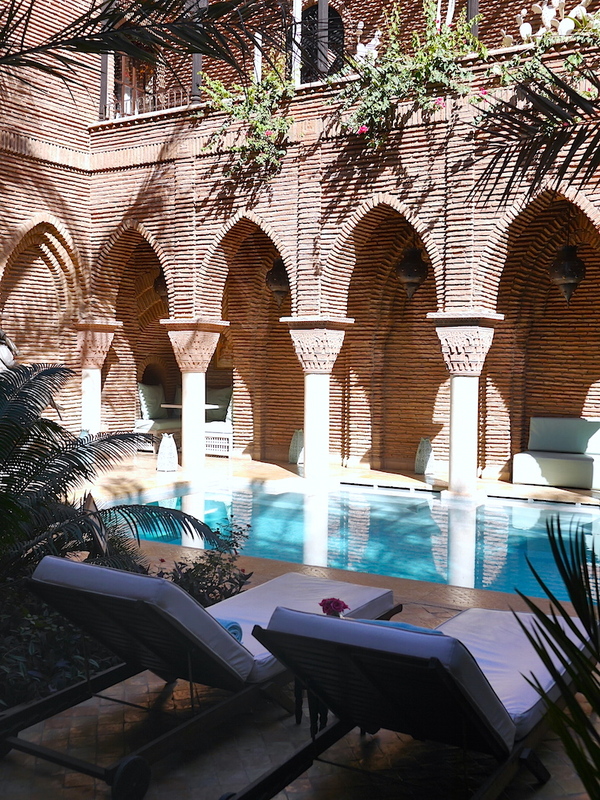 Oh yes I can confirm this is truly a great place to stay in Marrakech. We stayed there early october with my husband and loved every minute of it ! My post is up today on my blog ! What a Great Hotel. The pictures Are sooooo Beautiful. 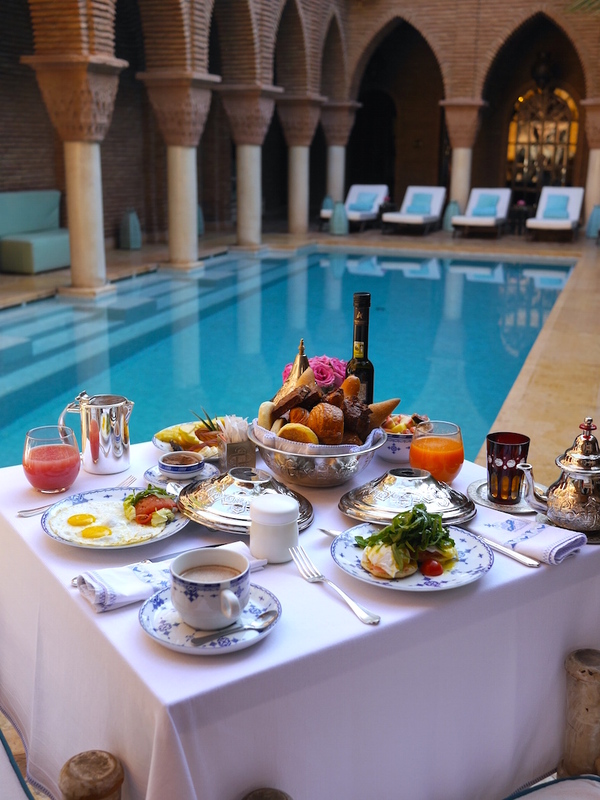 The breakfast Looks very nice. And also The Room.